The Potomac Nationals (78-58, 40-27) prevailed over the Frederick Keys (65-72, 33-37) by the final score of 6-1 on the final day of the 2014 regular season Sunday afternoon at Harry Grove Stadium. The Potomac Nationals (77-58, 39-27) swept the Frederick Keys (65-71, 33-36) at Harry Grove Stadium in a Sunday doubleheader by the final scores of 6-5 and 5-4. The Potomac Nationals (75-58, 37-27) were edged by the Frederick Keys (65-69, 33-34) in the series opener of a three-day, four-game road set by the final score of 4-3 on Saturday night at Harry Grove Stadium. The Potomac Nationals (72-55, 34-24) were buried by the Frederick Keys (60-68, 28-33) 6-0 in their final 2014 regular season home game at Pfitzner Stadium on Monday evening in front of a crowd of 3,458. Johan Camargo went 2-for-3 with an RBI in his City Stadium debut, while Jose Martinez also went 2-for-3 with an RBI, but the Hillcats dropped a 3-2 contest to the Potomac Nationals Tuesday night. The Potomac Nationals (65-53, 27-22) scored five runs in the bottom of the sixth inning to beat the Carolina Mudcats (25-28, 15-14) 6-5, snapping their four-game losing streak. 3B John Wooten’s two-run home run gave Potomac the lead which they would not relinquish. Nationals 3B John Wooten launched a three-run home run in the eighth inning of Thursday afternoon’s contest to give the Potomac Nationals (64-49, 26-18) a 6-4 series sweep over the Winston-Salem Dash (54-62, 24-23). The Potomac Nationals (61-49, 23-18) swept the Carolina Mudcats (50-60, 21-22) in a doubleheader on Sunday afternoon by scores of 5-2 and 9-4. The Potomac Nationals scored three runs in a bizarre eight inning of misplays, interference calls, and even a unconventional double play to beat the Salem Red Sox 5-2 at LewisGale Field Monday night. Can Potomac Nationals continue dominance of Salem Red Sox? Oscar Tejeda hit a three run homer in the first inning and the Potomac Nationals led the rest of the way in a 6-1 victory over the Salem Red Sox at LewisGale Field. The Potomac Nationals (51-43, 13-12) and Wilmington Blue Rocks (46-48, 13-13) split a de facto double header on Thursday night. The Potomac Nationals (50-42, 12-11) were swept by the Wilmington Blue Rocks (45-47, 12-12) in two seven-inning games on Wednesday night. DH Tony Renda supplied the game-winning RBI-single in the top of the 13th inning as the Potomac Nationals (11-9) beat the Frederick Keys (10-13) on Sunday afternoon, 2-1. The Potomac Nationals (48-40, 10-9) were propelled over the Frederick Keys on Friday night at Harry Grove Stadium in the series opener of four contests by the brilliance of RHP Austin Voth, who extended his scoreless innings streak to 19.0 frames in a 4-0 shutout victory for the visiting club. The Potomac Nationals (9-9) and Wilmington Blue Rocks (9-10) finished one of their two scheduled games on Thursday before being suspended due to rain in Game Two. 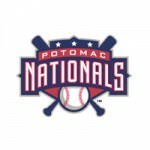 The Potomac Nationals (8-7) swept a makeshift doubleheader on Saturday night against the Myrtle Beach Pelicans (10-7). The first game, a resumption of the game suspended from June 27th, saw Potomac win 11-6. Game two supplied late drama when SS Stephen Perez slapped an extra-inning single to right field to lift Potomac to a 1-0 victory. The Potomac Nationals (6-4) erased a 9-0 deficit to tie the game at nine before falling 10-9 to the Frederick Keys (3-9) on Monday night. LF Michael Burgess’s solo home run in the top of the ninth was the difference. The Potomac Nationals (43-34, 5-3) were edged by the Frederick Keys (34-43, 2-8) 7-6 on Saturday night at Pfitzner Stadium despite cranking a trio of home runs in the series opener of three contests. Potomac Nationals LF Mike McQuillan slugged his first home run of the season, a three-run shot through a swift breeze at Pelicans Ballpark in the 6th inning over the left field wall on Wednesday night which served as the difference maker in the P-Nats’ 7-4 victory over the Myrtle Beach Pelicans (48-27, 4-3). 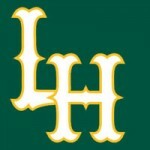 Back-to-back four-run innings quickly turned a one-run deficit into a seven-run victory, as the Lynchburg Hillcats used eight two-out RBIs to defeat the Potomac Nationals, 10-3, at Calvin Falwell Field Thursday night. The Potomac Nationals (36-30, 19-13) lost their seven-inning battle with the Winston-Salem Dash (29-37, 13-19) 4-2 on Friday night. Game Two of the scheduled doubleheader was postponed. 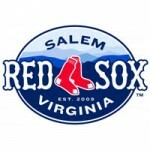 Despite allowing four runs and committing five errors in the first inning, the Salem Red Sox turned around and scored 13 unanswered runs to take the final game of the four game series from the Potomac Nationals 13-4. The Potomac Nationals (22-18, 12-10) worked out a series split with the Myrtle Beach Pelicans (27-15, 12-10) thanks to a 4-2 win in the series finale on Sunday at TicketReturn.com Field inside Pelicans Ballpark. The Potomac Nationals (20-17, 10-9) were crushed by the Myrtle Beach Pelicans (26-13, 11-8) by the score of 11-5 on Friday evening after being outplayed on TicketReturn.com Field inside Pelicans Ballpark.